Cross section of Batac empanada. The crispy thin shell is filled with bean sprouts, longanisa and egg. Batac’s empanada is said to be the best produced in Ilocos. 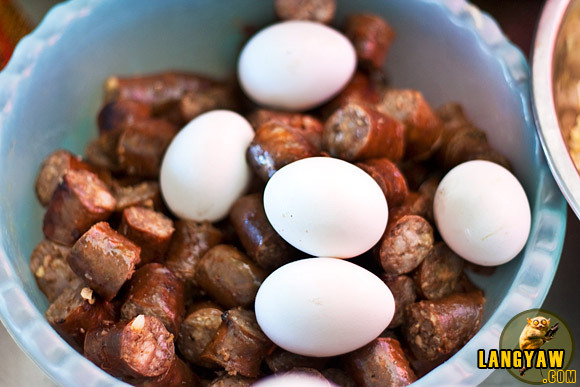 Crispy thin shell filled with longanisa, bean sprouts and egg, its a delicious treat that can be a meal in itself. It’s quite a while since I’ve eaten empanada from Ilocos, perhaps, a few years ago during a photo assignment for a book project in Laoag. 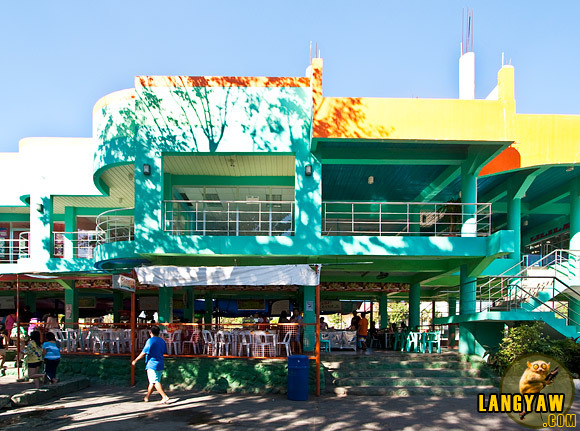 But whenever I’m here, its de rigeur for me to have my fill at one of the eateries, including eating grilled longanisa. In Batac, home of the revered former dictator, Ferdinand Marcos where his remains are displayed, head on to the airy, well maintained building at the far end, right, of the Catholic Church where a series of food stalls are put up. Last January 2010, I was invited by the North Philippines Visitors Bureau to join a media tour of travel writers and bloggers to experience North Luzon for seven days starting in Cagayan province all the way to Pampanga to sample the various local cuisines and experience the attractions offered by the various provinces along the route. 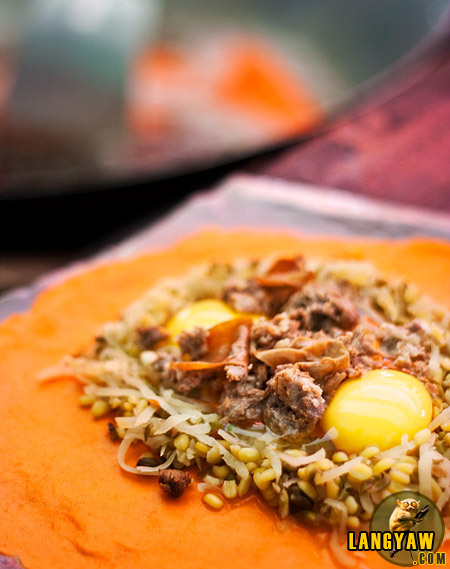 Now, Batac empanada differs from that of Vigan in terms of the color and thickness according to this post. 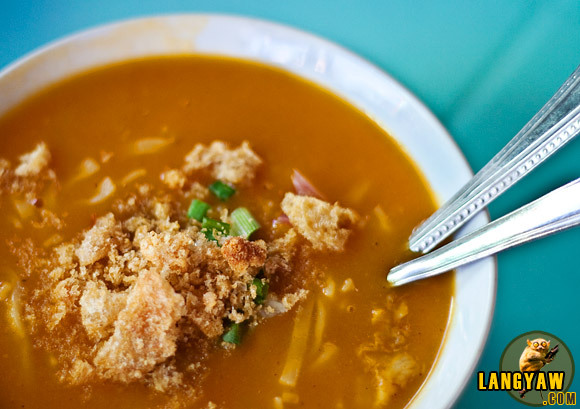 For the original, one should eat at Glory’s Empanada, said to have started the business and included her favorite color, orange, in the flour based shell by using achuete. One has always options when ordering and the price starts at P35. Should it be special? Super/extra special? ordinary? Or even customize how the filling should be, depending on what one likes. In my case, I always opt for the special. 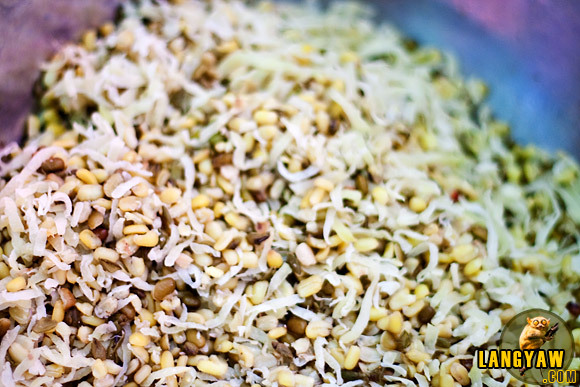 At the open air cook area, the ingredients are laid out around the frying pan, neatly prepared in several containers: pre-cooked mung bean sprouts or in some stalls, grated green papaya; several pieces of longanisa; egg on trays and in one area, the flour based shell is prepared. 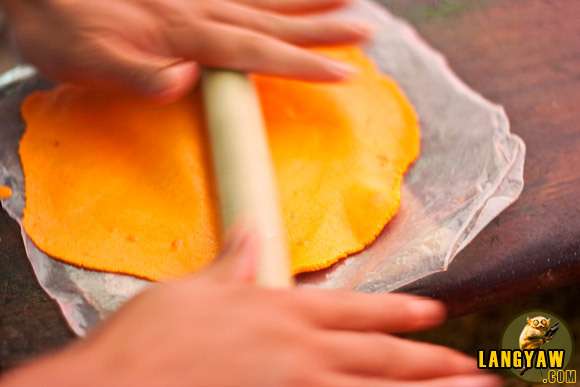 In Frank Cimatu’s blog post, the word empanada is derived from Spanish meaning to wrap and coat in bread and you can see it prepared right before you. Frying only takes a few minutes, just enough to cook the shell. The empanada is best eaten while still hot. Pair with sukang iloko, native vinegar, and it can be a gustatory experience. Miki at the other side of the street. While it looked good, it was just too salty for my taste. According to a companion, there was just lots of MSG in it. Having our fill of the empanada, we transferred to the food stalls across the streets where noodles, like mami and miki can be ordered. While I’m much more familiar with the former, noodles with clear broth as it is found all over and is also served in fast food joints, I was more inclined to taste the latter which is not so common in Metro Manila. On the hot bowl: noodles in a heavy, yellow orange soup, hard boiled egg (optional), some sliced green onions and chicharon (pork rind) bits. Looks delectable but as soon as I tasted it, no good. It was just too salty for my taste. Lots of MSG, a companion said that I wasn’t able to finish it. Not even halfway. The egg was half eaten too. Maybe the cook got sleepy or we just ate at the wrong food stall. I am an adult in the U.S. who is taking a college course on the Philippines. I am trying to learn more about the Philippines including its culture, food, and interesting places to visit. Anything you could tell me would be very much appreciated. Thanks! i’m proud to be from batac and i miss empanada like hell. you can try better miki from other fast foods. i guess the best miki is from ordonia’s but i don’t know if it still exists.